These days, for many kinds of food businesses, the proverbial retail business mantra of “Location, location and location” has morphed to “location, location, location and catering!” Catering can provide a meaningful added revenue stream for a good location and can become a literal revenue lifesaver for a less than optimal location. With the always narrow margins of food service, utilizing most or all of a location’s kitchen and staff capacity becomes the holy grail of net earnings. How does your business measure up? If the answer leaves you dissatisfied, then growing a catering division may serve as a big part of the answer. It’s not unusual for a successful catering program to account for anywhere from 15%-35% of a business’s overall sales revenue. Some businesses have been so successful that they’ve literally pushed their store front retail business to the middle or back burner in favor of promoting catering as their principle revenue flow. Catering services come in many forms: a beautifully detailed, fully served formal wedding banquet; individual cold lunches packed into crisp white lunch bags; artfully arranged reception trays of wraps, sliders, crostinis and petite brochettes; or a lunch/dinner buffet line of hot entrees in chafing dishes with a big bowl of salad and fresh baked breads, to name but a few. Which approaches are best suited to your existing product and service mix? In every urban population there is a vibrant market for each of these and more. The path to catering success most likely begins with the path of least resistance for your existing brand. In other words, go with what you know. Market your business to a real market opportunity. Don’t just imagine a market, find a real market well suited to your product mix. Your existing customers can be your first and possibly your best resource. Create materials (including samples) and do actual outreach. For example, you can sign up to donate at culinary fundraisers where you can go serve sample bites and talk to prospective customers. Engage with your friend and professional networks to reach out to institutions, corporations and community organizations. Utilize digital marketing: Mail Chimp, Facebook, et al. We now live, inexorably, in a digital/social media world. It’s where your clientele goes to shop more often than not. If this is still a strange world to you consider a professional who is local, and has enthusiastic, authentic references (caution: there are endless wannabe marketers trolling the internet). Or school yourself – many consider udemy (www.udemy.com/) the best online learning platform for social media and many other business building subjects. Practice the craft of booking. Effective marketing will generate prospects. Next comes the sales act. With catering, that’s booking. Your approach to booking should reflect your catering style. For repeat customers of a drop-off lunch catering service, an interactive website or catering sales platform (such as Thumbtack.com/catering) can become the medium of the entire sales transaction. Of course, at the outset don’t wait around for your inbox to fill up. Reach out to find your customers. 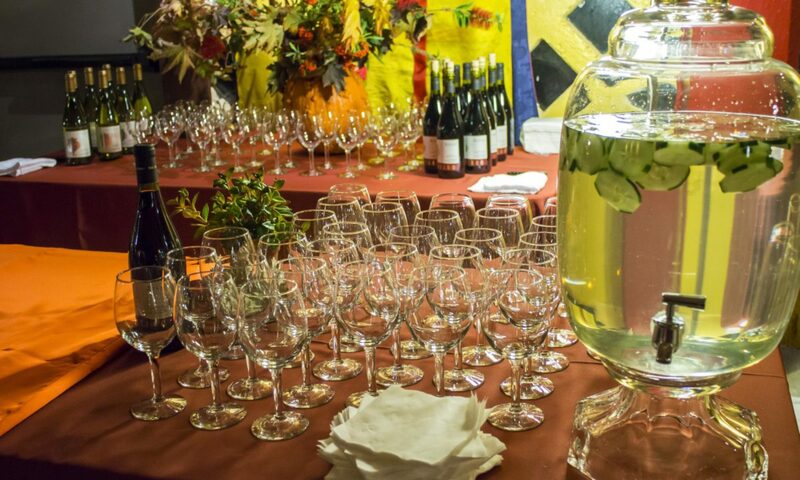 Full service catering typically requires a more nuanced sales act beginning with a meeting and listening carefully to the client’s goal for what is typically a significant life passage or organizational gathering. Only when a rather complete profile of the prospective client’s preferences has been assembled should you prepare to submit your proposal…and then there’s another key step. Providing financial value is a two-sided coin. In a competitive market place, it’s almost always critical to provide the appearance of value. Of course the best way to foster the perception of top value is to give top value. HOWEVER, the caterer must also provide a proposal that balances value to the client with bottom line value to the business. Quality catering, particularly full service, is a LOT of work. It can make for a very empty feeling to provide a wonderful client experience for little or no financial reward. Hence it is very key when preparing a proposal to accurately project income and expenses onto a spreadsheet and give yourself the most carefully calculated assurance that the project will provide good bottom line value to your business as well as value to the client. It is well worth noting that a successful retail location and a successful catering program, at their best, can generate a highly effective synergy that attracts considerable added revenue and value to both. Make food that tastes GOOD, exceptional even. Even better- make it deliciously distinctive. In most cases, the cuisine doesn’t need to be Michelin starred. Whether it is a classic flavor or your own palate-pleasing innovation, a standard that evokes “That was really good” is going to get you an invitation for a next occasion and invaluable word-of-mouth appreciation. A cheerful, professional demeanor manifest by your on-site catering personnel (including yourself), contributing an upbeat ambiance to the occasion. At the end of the (event) day, catering is as much if not more about effective service than it is about cuisine. Clients generally sense and appreciate a genuine attitude. Most everyone has a concept of good service as a consumer. If you work to double down on that as a provider with an authentic commitment to an accommodating professionalism, you should do well. Presentation, service and the perception of value counts. The maxim “God (or the devil) is in the details” was probably first uttered by a caterer of the biblical era. Habitually adding big and little touches of décor, symmetry, diligent cleanliness and thoughtful, extra attentiveness are aspects of presentation that can all significantly enhance the perception of value. Sense of value can also be enhanced leading up to the event by punctually meeting every deadline, promptly returning every phone call and timely acts of attention and accommodation. Your Brand is…the sum of the decisions you make regarding your location in the catering marketplace along with the style you adopt to provide your catering services. Of course, it will evolve as your actual catering experience evolves. However, from the outset, it’s important to forge a strong brand identity with a clear visual and verbal message that communicates to the marketplace that there is a new player (or in the parlance of the old west, a new sheriff) in town and you’re here to win business. It may be the most natural thing to adapt or double down on the brand identity of your existing business. On the other hand, it may also be the height of strategic wisdom to set a brand new point of departure for the catering division that can eventually bring the retail brand along with it…or not. Have fun with your brand, be creative. At Flavors, we believe consumers are looking for authentic value, positive business values and inspiration, for products and services that mean something beyond the surface. When you bring your brand identity to life, infuse it with your passion for what you do. Provide prospective customers with positivity, good humor and commitment that will inspire an intensified level of brand loyalty and return business when you successfully deliver the goods. If you found this catering business overview instructive, we invite you to contact Flavors to schedule a complimentary business assessment by Flavors Director Russell Bass, at the conclusion of which he will provide his analysis of your business’s best trajectory for catering success. (510-350-8840/www.flavorscc.com). This process typically will entail an initial intake meeting of an hour or less, a written report of Flavors findings and a follow up meeting to present the report. There is no charge for this introductory service. If it seems Flavors could help to accelerate the development of a successful catering division for your business, the report will conclude with an overview of the services Flavors can provide. Previous PostPrevious How Hot Is Your Chile Pepper?